My first twinges of hair envy came at the age of 10, predating my hard rock awakening by about two years. Our 4th grade teacher, Mrs. Liechty, used to allow a couple kids per week to bring in favorite records on Friday afternoons for show and tell. She’d play the songs on a portable phonograph at the front of the class and always share some positive opinion about each tune to reinforce the excitement of whichever students were lucky enough to be chosen that week. I remember the records played as mainly being the sugary pop of the day, with the occasional old Beatles or Elvis single from a parent’s collection sprinkled in. “Billy, Don’t Be a Hero” is one specific song I remember hearing in Mrs. Liechty’s classroom (as I previously described here). While the boys leaned heavily toward novelty songs, such as Ray Steven’s “The Streak” (Boogity Boogity!) or Ringo Starr’s “No No Song,” the girls would bring in the latest offerings from the day’s teen heartthrobs. Via their record sleeves, mini-posters, and 45 rpm singles, Donny Osmond, Bobby Sherman, and especially David Cassidy were steady visitors to our class. We boys would whine and moan of course, mainly out of an adolescent sense that we shouldn’t like “girlie” stuff, but we could be found regularly humming the teen idols’ catchy bubblegum to ourselves after the final bell. What I most noted about the girls’ faves though was that they all had great hair; apparently girls liked wavy long hair! Prepubescent me would not have admitted a causal effect at the time, but I soon convinced mom to slow my trips to the barber shop. 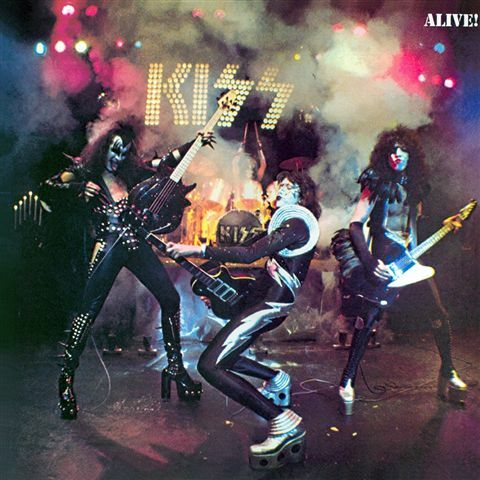 When the KISS Alive! album planted my feet firmly on the path of hard rock righteousness two years later, I had no doubt that cool hair and cool music were fellow travelers. The good news was that I no longer had to actively banish the truth about my teen idol role models deep into the recesses of my subconscious. My eyes were opened to a whole crowd of dudes who rocked out with their locks out, a much more manly set of mentors indeed. 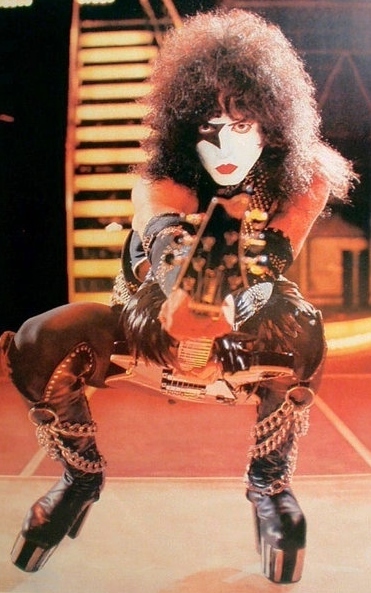 My first hard rock hair idol was KISS’s own Paul Stanley, which his loose, curly perm. Head banging per se had not really been invented yet but I fantasized about having a thick mane that would bounce off my shoulders as I pranced around my room playing air guitar. I soon realized however that my fine blonde hair would never mimic the Starman’s dense tresses. 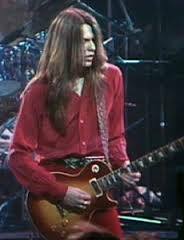 Moreover, looking in the mirror and seeing how my head seemed to rest directly on my shoulders, I realized I’d never have the neck to pull off the long, straight hippy look worn by Thin Lizzy’s Scott Gorham either. 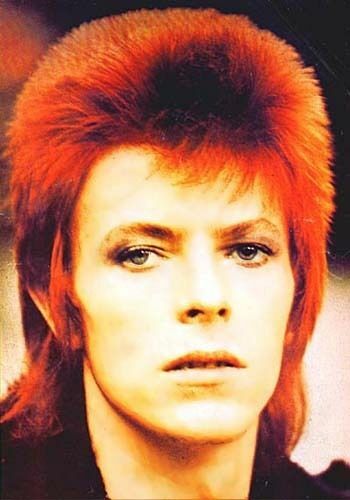 I briefly considered throwing back to Ziggy-era David Bowie with his orange-red proto-mullet, believing that my Dutch/English genes could potentially pull it off. In the end I was too risk averse to make the attempt though as tying myself to Bowie’s androgyny was unlikely to go over well for me in conservative late-70’s Utah. 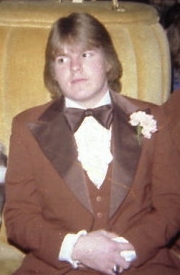 I brandished my “feathered” look up until I had to cut it all off to begin my Mormon missionary service in 1983. When I came back home in 1985, I tried to recover my style briefly but by then mullets had begun to reign and, unwilling to sign on to that folly, I soon sported a shorter cut, maybe halfway down my ears. When in 1987 a random Turkish barber in Washington D.C. parted my hair on the side vice the middle as he coifed me for the internship I was serving with a Utah congressman, my hard rock hair dreams finally perished for good. A misguided attempt a few years back to recover bygone days while working a 12-month stint in Afghanistan gave me a temporary thrill, but I realized soon after my return stateside that “feathered” didn’t go quite so well with “flab” and “forties.” As it is, I’ve no room to complain as I show no signs of gray or thinning even as I rapidly approach the big 5-0. Regardless of how I might look in others’ eyes now, when I close my own and picture the true inner Victim of the Fury, he’s proudly displaying a lush swath that would give Donny, Bobby, or David a run for their money. And, truth be told, it’ll be their three photos that I eventually show to the genie when he shows up to grant me my three wishes. I did, alas, briefly rock the mullet en route to longer hair. Sadly Errol Brown and Isaac Hayes are the only really feasible hair role models left for me now. And great pictures too. I won’t say which 1970’s country music star your hair reminded me of! I also am guilty of the mullet before moving on to long all over (maybe along the lines of Bill Steer but not as cool) for about 10 years! The second photo of you did bring to mind maybe Robin Zander… or He-Man? I’ve spoken with the judges and we’ll enthusiastically accept both Zander and He-Man as correct answers. You, sir, are a winner! Yay! What do I win? I didn’t grow a mullet until the 80s and I only did it because I thought I was compromising with society after all the crap I got for having long hair. Being in 7th grade at the time, I had the same experiences with the music. Although I remember the librarian playing the Brownsville Station original version of “Smoking In the Boys Room” and I thought that rocked. Well, for what it’s worth, I still have that famous Farah red swimsuit poster hanging in my home office, so I’m definitely good with the ‘do… Thanks much for the kind words and for stopping by. And by the way, I saw Ray Stevens perform when I took my mother to Branson, Mo. a couple years ago. Still just as corny as ever, but now with a slight tinge of “dirty old man” to him, ha!